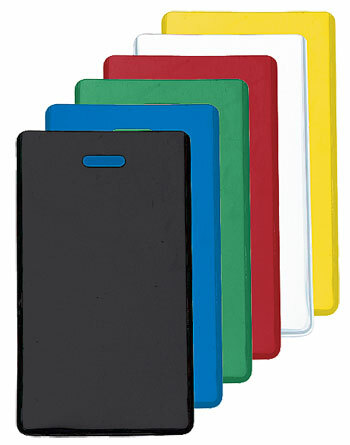 Luggage tag holders are the perfect item to attach to suitcases, brief cases, sport bags and more. 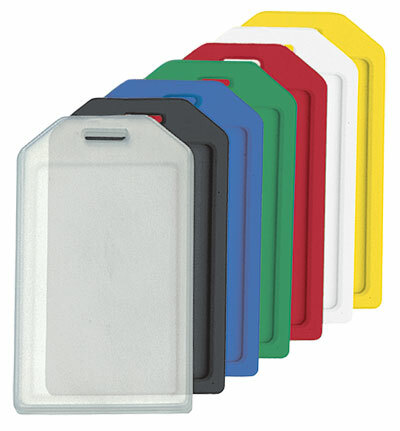 Our luggage tag holders are made of .050 thick indestructible rigid polycarbonate plastic or .012 semi-rigid vinyl and provide an inexpensive means of identifying your belongings. 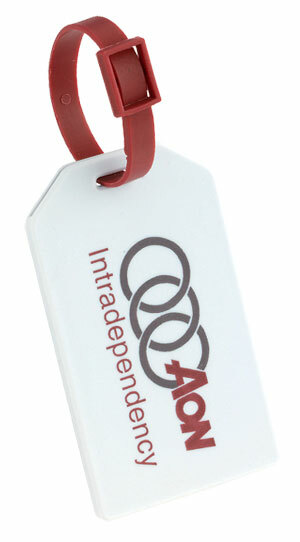 All of our luggage tag holders can be custom printed with your logo, company information or brand identity. You can upgrade to our executive luggage tag holders which provide a more upscale appearance. The advantage of these luggage tag holders is that as few as 100 units are available for immediate purchase.